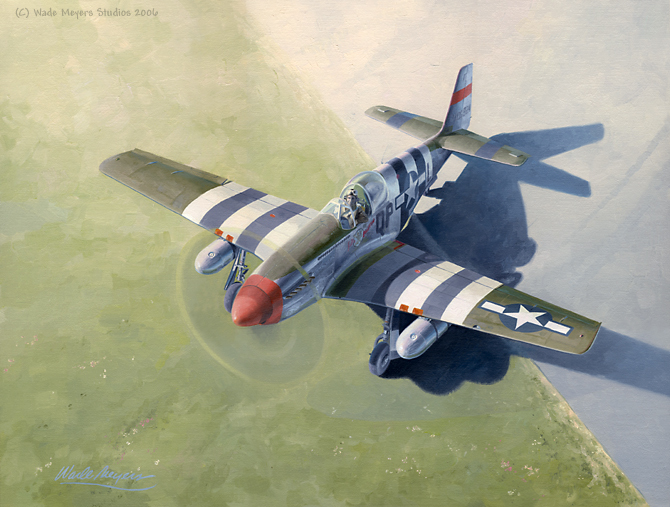 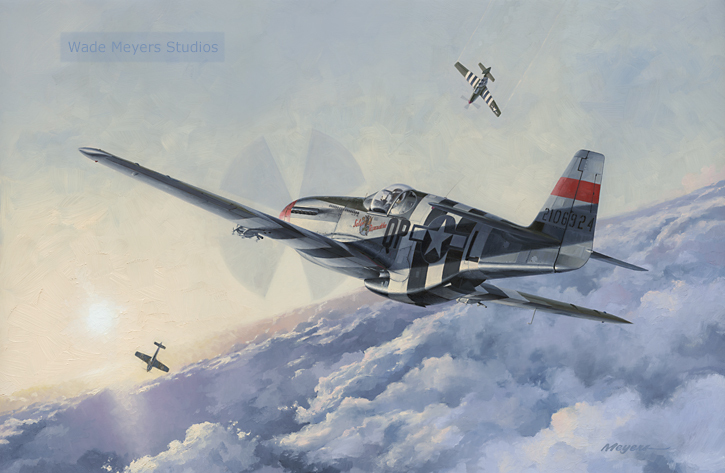 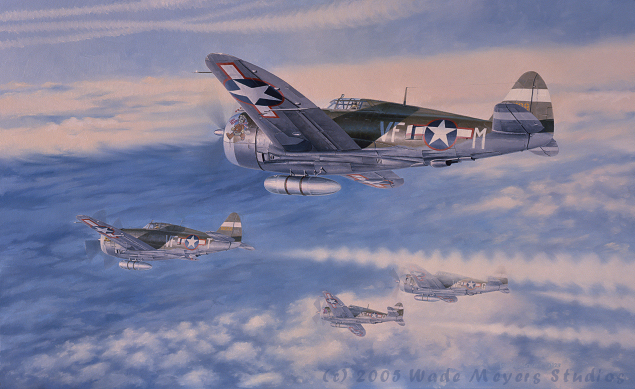 Wade Meyers has been painting 4th Fighter Group subjects since 1981, when he completed a pen and ink profile of Don Gentile's Shangri La. 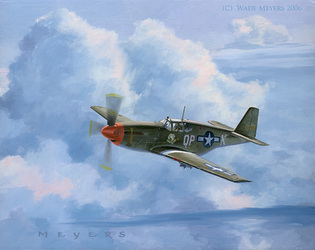 In each new painting, he tries to "convey the flavor and spirit of the subject within the framework of a well executed piece of art." 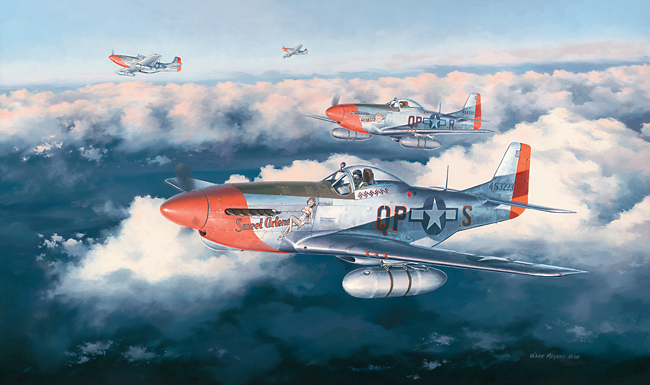 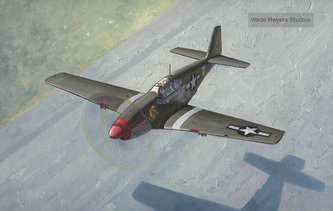 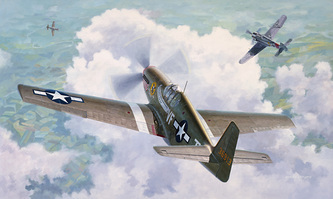 Wade is an award winning artist fellow in the American Society of Aviation Artists. 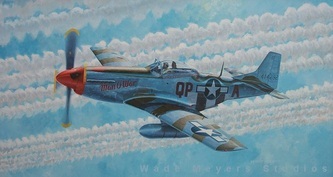 Drop Wade an e-mail at chicoartist@yahoo.com or explore his works at http://www.wademeyersart.com/ and http://www.facebook.com/wade.meyers.studios.